We are a Western Australian motorsport company that has been proudly competing in tarmac rallies since 2005 with great success. We pride ourselves on our 100% finish and class winning history in tarmac rallies in Australia and New Zealand and have also competed in the V8 SuperUte series, the Bathurst 12 Hour races, the Bathurst Sprint and proudly launched the Holden Dealer Team Tarmac Rally Team in 2010 at Targa Tasmania. The Team is now encouraging the next generation of motorsport enthusiasts with the recent establishment of the TZ Motorsport Academy in 2016 which supports, encourages and provides one on one tuition to the younger generation on the achievement of on track and off track success. The Team prides itself on its 100% finishing and class winning history in tarmac rallies and it has also competed in the V8 Supercar Utes series, tarmac rallies throughout Australia and New Zealand, the Bathurst 12 Hour, the Bathurst Sprint, Improved Production Championship and more recently it has established an academy to encourage young motorsport enthusiasts to success both on and off the track. The Team is extremely well known for its hospitality, giving great value to its sponsors and performing charitable work. The Team has been very successful with class wins at the Quit Targa West rallies in 2006, 2007, 2008, 2009, 2010, 2011, 2013, 2015, 2016 and 2017, 3 awards at the Dunlop Targa New Zealand in 2008 and class wins at Targa Tasmania in 2009 and 2011, including the 15th anniversary award and a Golden Targa Trophy award at its first attempt. More recently, the Academy has seen significant success in the local Western Australian Karting series with academy members taking out championships and podium trophies in the South Eastern Zone, Western Cup series and local karting club events. The team started competing in tarmac rallies in a 2002 HSV Maloo. A local Western Australian company that has proudly been competing in tarmac rallies since 2005 with great success. The Team prides itself on its 100% finish and class winning history in tarmac rallies and has also competed in the V8SuperUte Series. In it’s first year Todd Zani and Mike Kennedy first competed in a HSV Maloo and together with a group of friends from the local HSV Owners Club of WA (incorporating HDT) they formed a team affectionately known as “Team Holden”. In the 2006 Quit Targa West the Team included racing legend Peter Brock and Mick Hone in the Daytona Coupe. The Team is extremely well known for its hospitality, giving great value to it’s sponsors and performing charitable work. It has also been very successful with class wins at Quit Targa West in 2006, 2007, 2008, 2009, 2010, 2011, 2012, 2013, 2015, 2016 and 2017 and 3 awards at the Dunlop Targa New Zealand in 2008 and class wins at Targa Tasmania in 2009, 2010 and 2011. The Team also fielded two vehicles in the 2009 Bathurst 12 Hour race. In April 2010 the Team officially launched itself as the HDT Tarmac Rally Team and debuted the new VE Retro Heritage Series of vehicles. Todd Zani and Lisa Knapp competed in the VE VH Retro Group III and won a targa and class winning trophy. Paul Davies and Mike Kennedy competed at Targa Tasmania in a VE VK Retro “Blue Meanie” and both vehicles ran the famous dayglo orange paintwork that made the 1984 Bathurst winning Commodore so memorable for the Holden Dealer Team. The Team having been founded from within a local car club in Western Australia prides itself on its 100% finish record and having competed in tarmac rallies for over 13 years and its attention to detail and meticulous planning has seen it achieve considerable success. The Team is renowned for holding numerous sponsor ride and passenger days for its sponsors and also local charities and the Team is proud to give back to the community. Meet some of the Team membersThe Team was formed out of the local HSV Owners Club of WA (incorporating HDT) and a core group of members from that Club then got together with a view to competing in the inaugural Quit Targa West of 2005. The Team had initially 2 cars compete in that event and then over time with assistance from its Sponsors, grew to a Team of 4 cars that competed in events all over Australia and New Zealand. Greg was an inaugural Team member and initially together with Greg Allen, another member of the local HSV Owners Club of WA, they both managed the Team and the three cars that were campaigned in numerous tarmac rallies through Australia and New Zealand on behalf of TZ Motorsport and Team Holden..
Greg’s meticulous planning and attention to detail has been a large reason why the Team, has enjoyed so much success. His knowledge, particularly of the Holden product, is second to none. Jason was responsible for the epic build fo the Team HSV Maloo Ute back in 2006 which was campaigned so successfully by Todd Zani and more recently beautifully prepared the VF HSV R8 Maloo Utility which also won its class and the Modern Muscle Category on debut in the Quit Targa West Rally. 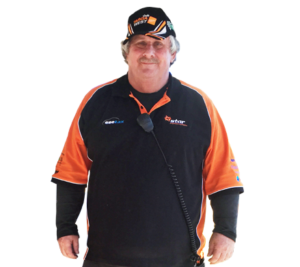 Jason’s engine building prowess is unparalleled in Perth, Western Australia and he has built a number highly reliable, high horsepower motors for the Team and mechanically assisted and looked after the Team for over 15 years. The Team is grateful for the valued input that Jason puts into the Team. Jason was an inaugural Team Mechanic, introduced to the Team by Mike Kennedy whilst he was working for City Motors on Newcastle Street in Northbridge. 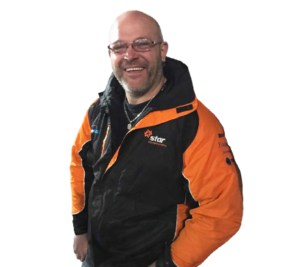 He was part of a great crew that was made available to the Team by AHG and City Motors and continues to support the Team in their efforts on an ad hoc basis and always gets involved in the Targa West rally. 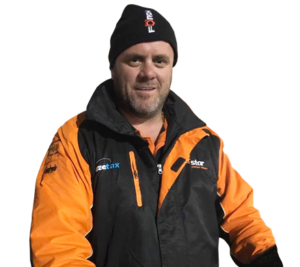 Trent provides valuable support to the Team Mechanics and his logistical and mechancial support during events is greatly appreciated by the Team. 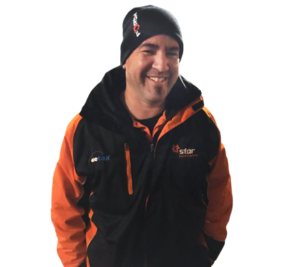 Trent is a no-nonsense, practical, valued team member who has been a valued Team member for a number of years and is solely responsible for the running of the Academy drivers and in particular assisting them with the go karting. What an awesome Team and the sponsor bus trips were unbelievable. The efforts you went to you for my son and I will not be forgotten. You guys are without a doubt the most professionally run tarmac rally team that we have ever had. You sponsors and their antics got more air time on our TV coverage than some of the cars in the event!